While your iPhone will take great pics, you will see so many incredible views and locations that warrant bringing your digital or DSL camera (I have never regretting lugging around mine). While these nicer cameras do a better job of capturing the moment, many of them are not connected via wifi, meaning you can't upload your snaps instantly to social media. I mean if you can't Instagram it, were you even there? Have no fear, the Eyefi memory card allows you to access the pictures you take with your digital/DSL camera on your smart phone. Problem solved! I love absolutely love my EyeFi card. Speaking of cell phones, you will use your smart phone a ton while traveling (you can read how to set your phone up to work abroad here), which drains the battery. My Mophie case has been a huge lifesaver on numerous occasions. Finding yourself lost in a new city with a dead phone is not fun. The Mophie case charges while you charge your regular cell battery, but when you're low on juice, simply turn the case on and you have another 100% of battery life. You won't know how you lived without it once you get one. It is important to remember that when living abroad you will not have a car. You will get around via public transport and with lots of walking... rain or shine! So you need to be prepared to travel in the elements. A sturdy umbrella (I love this one) and a waterproof rain jacket will get plenty of use while you are abroad, trust me. Like I said, you will be walking to and from class and touring rain or shine and you want to be prepared. I have also learned through experience that old cobblestone creates thousands of tiny puddles you have to walk through when it rains. My Hunter Tour Boots have proven to be one of my best purchases for travel. They keep my feet dry and warm, are stylish, and are light weight and fold for easy packing. A VPN isn't a tangible item you pack, but it is an important service to look into before departure. Typically, VPNs are used for security. While living abroad, however, they are a means to access and enjoy Netflix, Pandora, Hulu, and any other online service you subscribe to back home but are unavailable in Europe. VPNs are easily purchased online, but most universities provide one for students. So contact your IT department before departing. Odds are you will have access to wifi abroad, but it is also likely it will be a crap signal shared by several students and maybe even several apartments. If wifi is super important to you, think about bringing a single booster with you. Your roommates will love you! Bring a couple bottles of hand sanitizer with you (you can't really buy this easily abroad). Bathrooms in tourist centers are gross and you will be riding a lot of public transport. If you have a washer in your student apartment it will probably be small and not overly effective. And if you have to shlep your dirty clothes to a laundry mat you will want to limit the number of times you have to do this. Tide Pens and Downey wrinkle releaser come in small bottles/containers, are easy to pack, and can save you so much time and money in laundry. 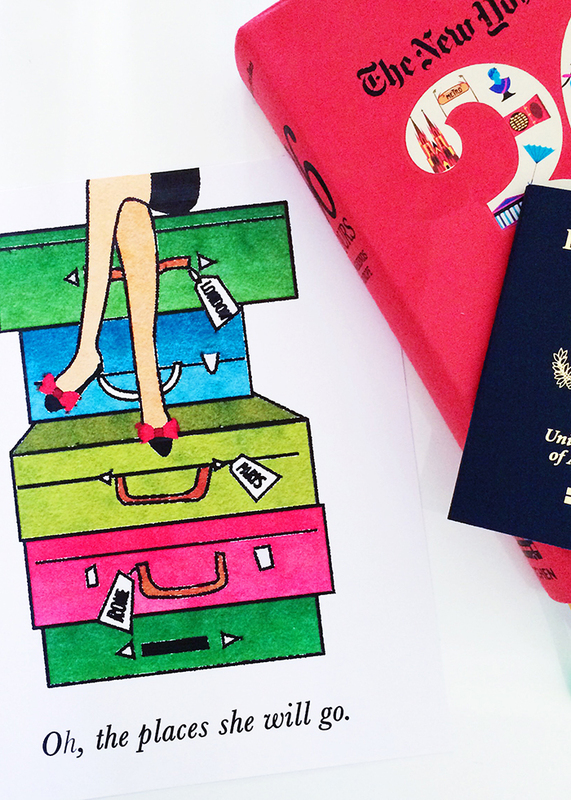 Travel is tough on your feet, and mole skin is a life saver. Trust me on this one! Since most student-apartments are not equipped with central air, you will have your windows open a lot, which lets in dirt and pollution. On top of this, if you're in a city like Florence, you will likely be living in a very old building. Uncarpeted floors collect dirt and debris and having a pair of slippers for your apartment will keep your feet (and your furniture/bed) clean. I love these! A portable luggage scale is essential if you are going to be traveling on weekend with budget airlines. These carriers are very strict with baggage weight and you can waste a lot of money if you aren't careful. It is also helpful at the end of your semester abroad, when you are trying to figure out how many souvenirs you can get away with. If you have studied abroad, what is something you didn't think to bring, but wish you had?